Witness the rebirth of Brona! Enter Doctor Victor Frankenstein's laboratory! Highly detailed limited edition statue. Penny Dreadful fans will love this! 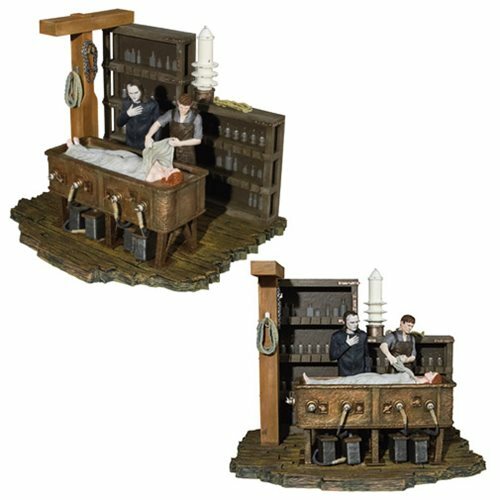 Enter Doctor Victor Frankenstein's laboratory and see the Creature and the doctor standing over dead Brona! This Penny Dreadful Rebirth of Brona Limited Edition Statue is limited to 2,000 highly detailed pieces. Made of resin, it measures 8 1/4-inches tall x 6 3/4-inches wide x 6 3/4-inches long. Penny Dreadful fans will love it! Ages 13 and up.